One of the perks of this lunch adventure was that we were joined by the owner, who was gracious enough to order a picnic platter and several small plates to share. But before the food arrived, he asked — does anyone want to meet the chef and get a tour of the smokers? Everyone immediately stood up, and iPhones and cameras in hand, headed past the bar and to the back of the building. #foodbloggers There, we met Jack who showed us the specific wood he used, and opened the bottom of a smoker to show us the fire, not roaring, but rather a long, slow, burn, that made its way through the smokers to the stacks of meat and oranges. Oranges? Yes. For the smoked orange and sugar Old Fashioned cocktails. I’ll have one of those please. 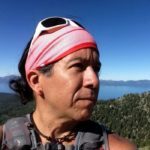 As an active food blogger, I was eligible for a discount during conference registration and in exchange I promised to write 3 blog posts on a subject of my choice related to IFBC 2015. 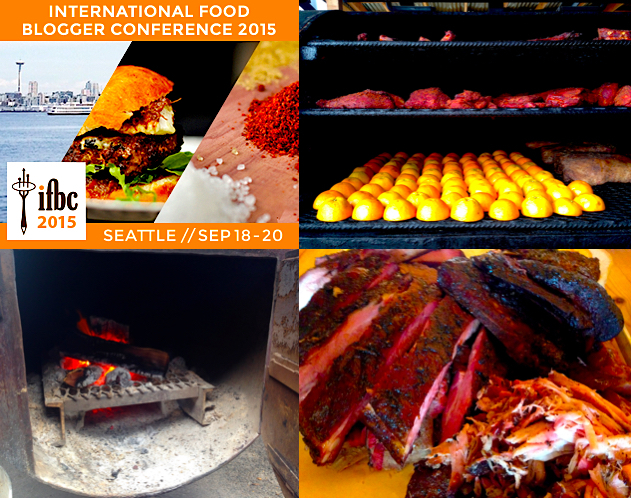 This is the second of 3 posts about my weekend adventures at IFBC 2015 in Seattle.